I was too excited to test out this holographic silver polish I got from my Julep box. It is called Angie from the Boho Glam line. On their website it is described as "silver linear liquid holographic". I only own another somewhat holographic polish by Revlon in their Transforming Effects line called Holographic Pearls, which I think it's not holo enough! In the picture below, on the right, you can see that the Revlon one is more grainy with larger shimmer, which is more of a silver glitter polish to me. It is not dense enough on its own to achieve a silver color. I had to use a silver polish as a base. I guess by its names "Transforming Effects", it is meant to be layer on top of something else. 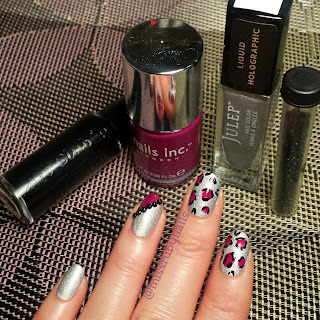 Julep's Angie has a more fine shimmer and smooth finish. 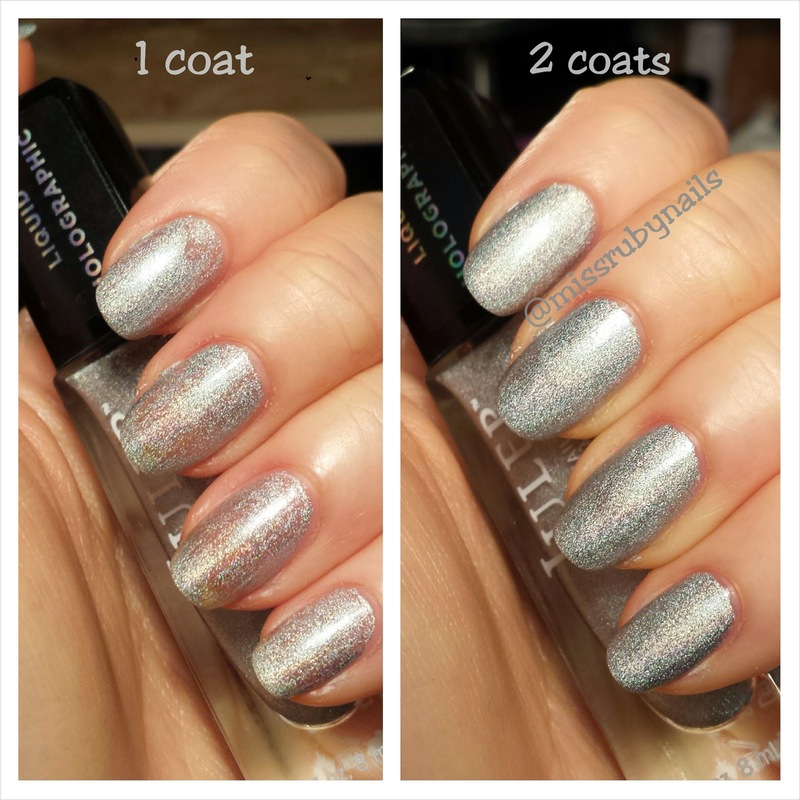 It is opaque in 2 coats and dries quick! It has a colorful holographic effect under both natural and indoor light. I was quite impressed at first sight. I added some burgundy and black polishes for this leopard manicure. Then I finished this mani off with a line of black jewels on the accent and thumb nail. 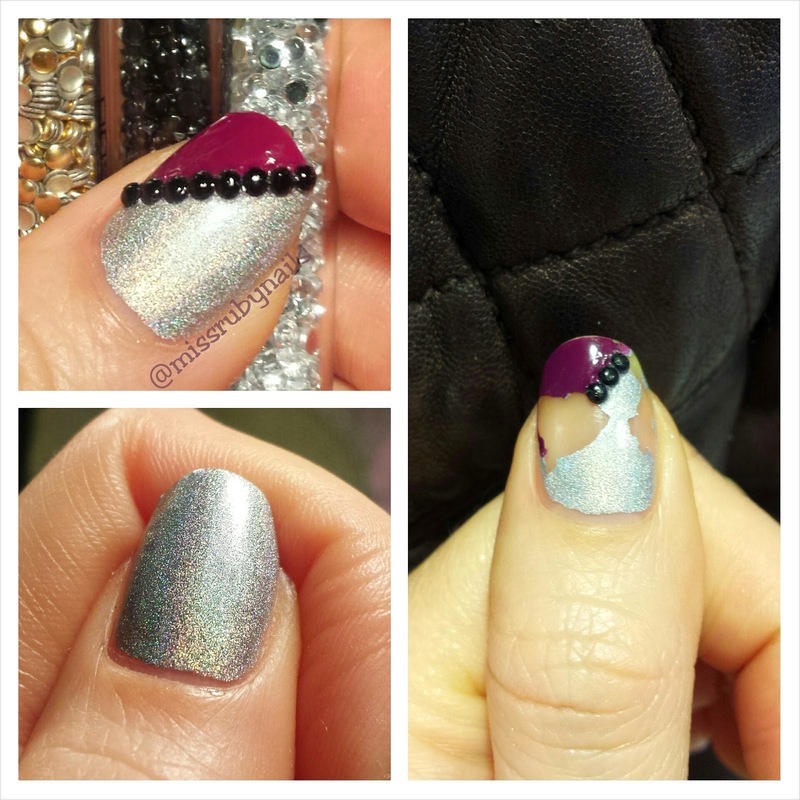 After 2 days wear of this mani, the silver holo polish chipped like crazy! I wasn't doing anything out of ordinary with my hands and this is not the usual time when my manicure starts to chip at all! 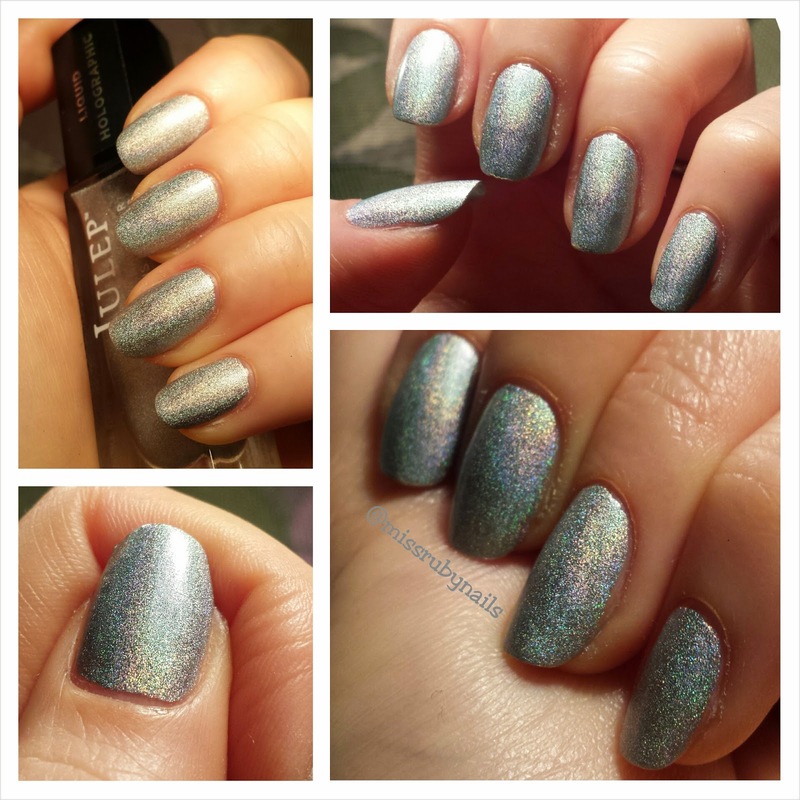 I found out from other people on Instagram that the holographic polishes from Julep are mostly like this, chipping abnormally fast! BOOO.... 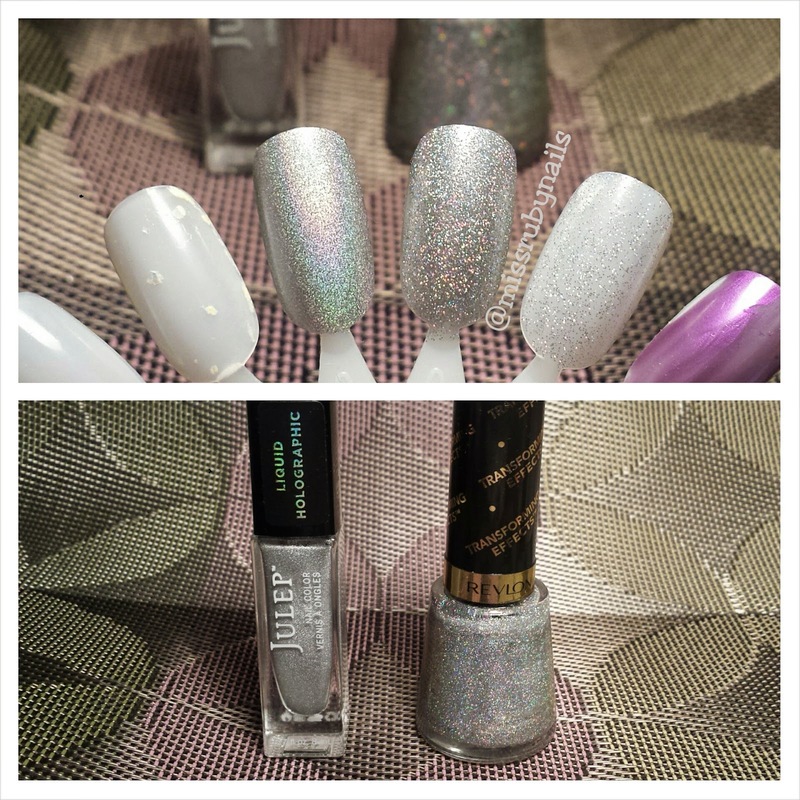 So I have a mixed feeling for this polish, leading more to the bad side... sorry Julep.